Collision Bend Brewing Company is finally open! 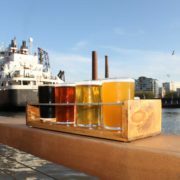 http://www.collisionbendbrewery.com/wp-content/uploads/2017/04/hp-slider-2.jpg 1200 1800 admin http://www.collisionbendbrewery.com/wp-content/uploads/2017/04/collision-bend-logo-b.png admin2017-04-24 09:55:172017-04-24 09:55:17Collision Bend Brewing Company is finally open! FIRST LOOK – Collision Bend Brewing Company. http://www.collisionbendbrewery.com/wp-content/uploads/2017/04/beer-tab2.jpg 788 1200 admin http://www.collisionbendbrewery.com/wp-content/uploads/2017/04/collision-bend-logo-b.png admin2017-04-24 09:54:392017-04-24 09:56:25FIRST LOOK – Collision Bend Brewing Company. 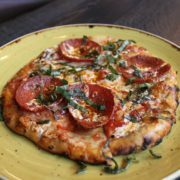 FIRST LOOK – Collision Bend Brewery in the Flats. http://www.collisionbendbrewery.com/wp-content/uploads/2017/04/hp-slider-1.jpg 1200 1800 admin http://www.collisionbendbrewery.com/wp-content/uploads/2017/04/collision-bend-logo-b.png admin2017-04-24 09:54:002017-04-24 09:54:00FIRST LOOK – Collision Bend Brewery in the Flats. Cleveland Flats then & now: Is it finally smooth sailing on the east bank? By John Petkovic, The Plain Dealer The Plain Dealer April 13, 2017. Cleveland Flats now & then: The east bank has seen many changes. Where is the latest one heading? 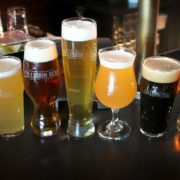 http://www.collisionbendbrewery.com/wp-content/uploads/2017/04/hp-slider-3.jpg 1200 1800 admin http://www.collisionbendbrewery.com/wp-content/uploads/2017/04/collision-bend-logo-b.png admin2017-04-24 09:53:232017-04-24 09:53:23Cleveland Flats then & now: Is it finally smooth sailing on the east bank? Collision Bend Brewing Co. ready to open – sneak peek. 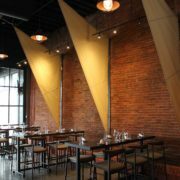 http://www.collisionbendbrewery.com/wp-content/uploads/2017/04/interior1.jpg 1200 1800 admin http://www.collisionbendbrewery.com/wp-content/uploads/2017/04/collision-bend-logo-b.png admin2017-04-24 09:52:002017-04-24 09:52:00Collision Bend Brewing Co. ready to open - sneak peek. 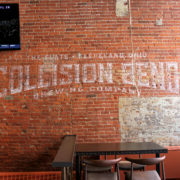 Construction for Collision Bend Brewing Company is complete, and the restaurant and brewery is scheduled to open April 17 on the east bank of the Flats District in the space of the former Watermark restaurant at 1250 Old River Road. 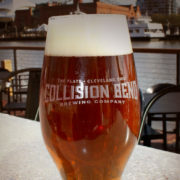 http://www.collisionbendbrewery.com/wp-content/uploads/2017/04/home-page-beer.jpg 979 2000 admin http://www.collisionbendbrewery.com/wp-content/uploads/2017/04/collision-bend-logo-b.png admin2017-04-20 11:53:012017-04-20 13:58:26We are open!